Happy August Everyone! It’s hard to believe that summer is almost over and the kids will be heading back to school in a week or so! Don’t worry, the sunshine and warm weather will be sticking around a little longer! 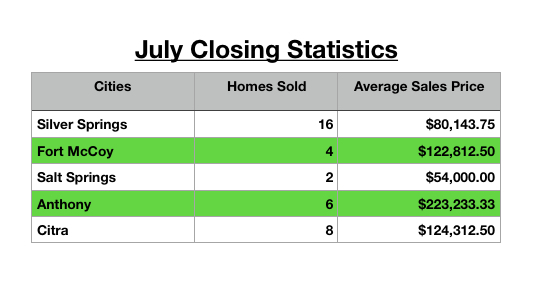 Here are some July closing statistics for certain cities in NE Marion County. 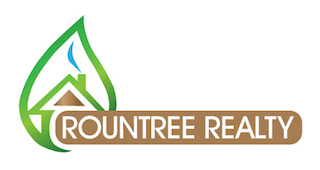 All data is deemed reliable, but is not guaranteed accurate by the Ocala MLS or Rountree Realty Corp. All material presented herein is intended for information purposes only. While this information is believed to be correct, it is represented subject to errors, omissions, changes or withdrawal without notice. All property information is deemed reliable, but should be verified by your own attorney, architect or zoning expert. We are an equal housing opportunity provider.